BestCode designs and manufactures marking and coding printing systems and associated fluids, supplies and accessories. 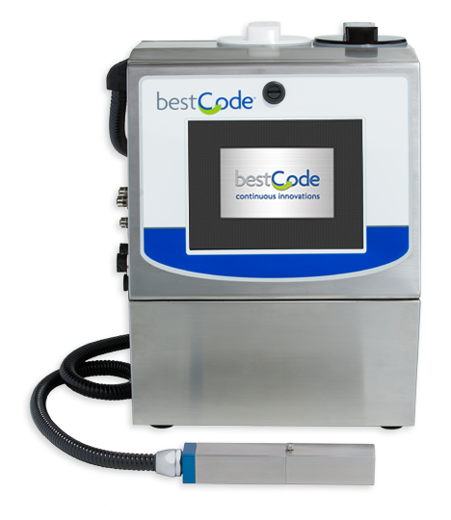 BestCode industrial printing systems print real-time lot/date, sell-by dates, expiration dates and other identifying marks on industrial and consumer goods to ensure product traceability. Products are designed and manufactured in the USA; Fort Worth, Texas. For 25 years, the BestCode group continues to produce industry changing, forward thinking innovative industrial printing designs. Product designs are focused on ease of use, trouble free operation, long term reliability, and affordable cost of ownership with an emphasis on global market requirements. BestCode products are sold and serviced through a world-wide network of factory authorized, trained and certified distributor partners. To request a free brochure, in plant demonstration and custom plan for your application complete our contact form.